I've been dreaming of a kitchen remodel recently. Our kitchen is nice, but it is the style of the family that lived in the home before Aaron and I bought it. I would really like to update some things in the kitchen to fit more in line with our taste... aiming for a rustic-modern look. // update paint colors on walls - light grey? What makes up your dream kitchen? oh i wish i could update our kitchen! it's big and fine but not enough counter space. sigh. one day! I think your kitchen is so pretty! It's always fun to update though! We moved into a house in December with a total 1970s kitchen. Fake brick vinyl floor, orangy/brown appliances, wood paneling, the whole nine years. We plan to remodel this summer and I'm having fun looking at pictures! I think your kitchen is gorgeous! But I know how you love your white! 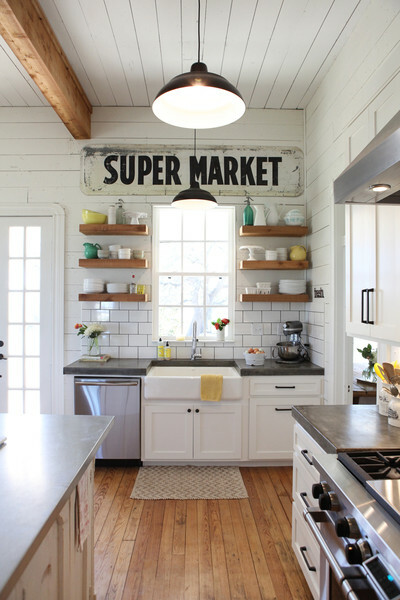 ;) I love your inspiration and remodel ideas! Definitely would change the look of the room! 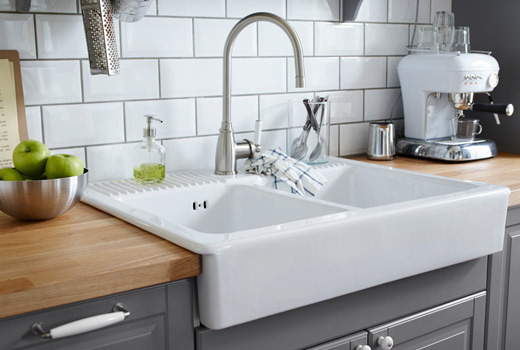 I especially love a farm house sink! My brother and sister in law just redid their kitchen cabinets with a rustoleum (spelling?) white kit and they turned out amazing! So much more affordable than new cabinets! 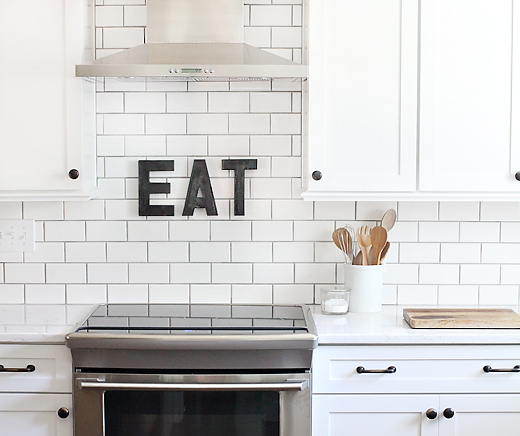 Love your kitchen now too! 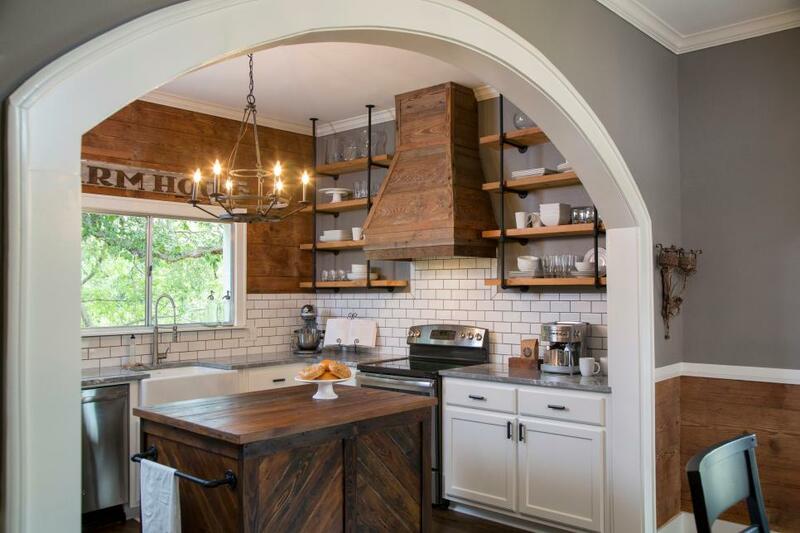 ha Gorgeous exposed brick! 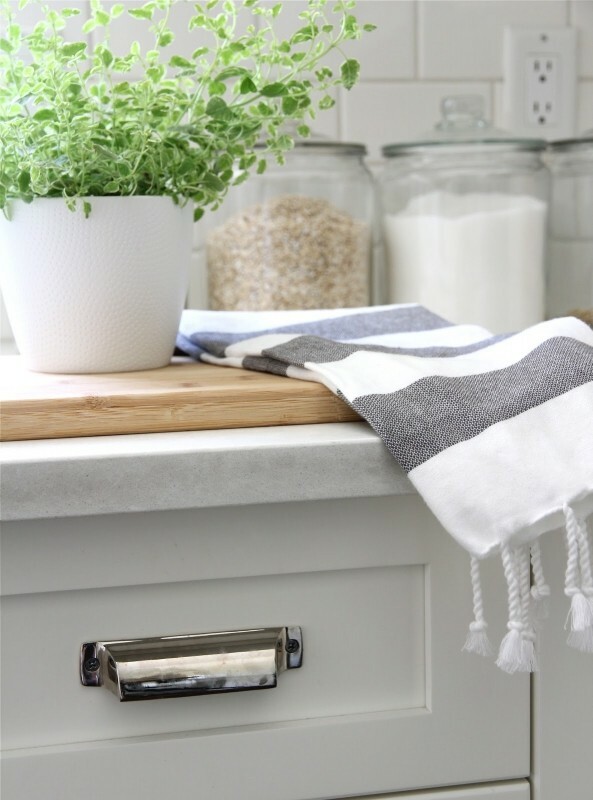 I bet marble countertops would make a big difference alone! Joanna Gaines has one of the most beautiful kitchens I have ever seen. I think that it is important to do some remodeling after buying a home that was lived in previously. Remodeling gives you a change to make the space your own and add your touch to it. Remodeling also makes transitioning from one space to another easier to deal with.